ialci president Annabelle Gauberti is quoted several times in this gritty article published by Agence France Press – AFP – in Business Insider and other publications, on the development and ascent of fashion law as a driving force in both the legal and luxury industries. Long considered “too fluffy” for serious lawyers, fashion law has emerged in recent years as one of the most lucrative -– and occasionally absurd -– new battlegrounds for the legal profession. For example, a blink-and-you-miss-it shot of a basketball with what looked like Louis Vuitton symbols on it appeared for just one second in a Hyundai commercial shown during the 2010 Superbowl in the United States. But that was enough for the French luxury label to take Hyundai to court, claiming its trademark had been “diluted”. To the amazement of many, the court agreed. One expert -– lawyer and New York University lecturer Charles Colman -– calls it “probably the most unfortunate legal decision of the past five years.” Louis Vuitton followed up with a similar suit against the makers of Hollywood comedy “The Hangover Part 2” because a character played by Zach Galifianakis at one point carries a fake LV handbag and mispronounces their name “Lewis Vee-ton”. That case was thrown out -– on the grounds that artistic expression is protected by the US constitution –- but an appeal is ongoing. Such lawsuits are the more extreme by-products of a burgeoning love affair between the fashion and legal industries. Other high-profile cases include: The ongoing litigation by Converse against 31 competitors for allegedly ripping off its iconic sneaker; pop star Rihanna’s successful action against Topman for putting her face on one of its T-shirts; and the landmark 2012 case in which Christian Louboutin won the exclusive right to make shoes with a red sole. With the global luxury market valued at $985 billion (730 billion euros) by Boston Consulting Group — and set to grow to $1.18 trillion by 2020 — the only surprise is that lawyers have taken so long to take a direct interest. “Entertainment law and sports law have become accepted terms with their own specialist courses in most law schools,” says Colman. “But there are still only five courses in fashion law in the United States, even though the amount of money involved dwarfs that of entertainment. “There’s no defensible reason except that fashion is perceived as a frivolous subject,” he adds. Across the globe, that is changing as lawyers recognise the vital role they can play in protecting the fashion sector’s fragile illusion of exclusivity from the reality of mass marketing. “Haute couture is brand-building. The real money is made selling 40-euro nail varnish and 100-euro perfumes,” says Annabelle Gauberti, who left one of the biggest law firms in London to set up her own practice specialising in luxury law (“droit du luxe”). “In the early 2000s, my old bosses used to tell me there’s no money in fashion -– stick to banking or energy,” she says. “They thought fashion was too fluffy, but they were wrong. The time is ripe for the luxury industry. 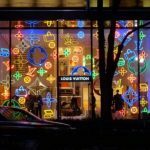 It is making monstrous fortunes.” A major driver has been the explosion in demand for luxury goods from the Middle East, South America and Asia -– forcing fashion houses to seek new investors, manage intricate overseas deals and battle the vast wave of cheap knock-offs flooding the market. “The industry became much more international and much more complex. That meant a lot more work for lawyers,” says Gauberti, adding that the 2008 financial crash also left a lot of lawyers out of work and looking for new opportunities. The seeds of the current luxury boom go back to the 1980s when a new generation of ruthless businessmen muscled their way into the stuffy, closeted world of French haute couture. The pampered dynasties that ran fashion houses were ill-prepared for men like Bernard Arnault, the engineering tycoon who exploited a family feud in the Louis Vuitton Moet Hennessy (LVMH) group to seize a controlling stake and purge the original owners. 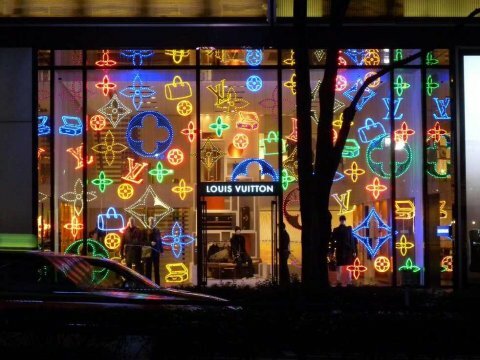 People like Arnault and Francois Pinault -– whose Kering conglomerate used a construction fortune to buy up Gucci and other designer labels -– transformed the industry into retailing behemoths. “Arnault and Kering shifted the emphasis of high-end labels from couture to merchandising,” says Colman. “They dramatically increased the amount of money at stake. That’s why these companies now take such an aggressive stance on their trademark rights.” But the emerging field of fashion law is not just about suing competitors. The advent of e-commerce, social media and smartphones has raised important new legal issues for fashion companies, says Lois Herzeca, who set up the fashion retail and consumer products practice group at the Gibson-Dunn law firm in New York and teaches at the University of Pennsylvania. “For the millennial generation of law students, it’s all about the merging of entertainment, fashion and technology,” she says. “That implicates many areas of evolving law. Fashion retailers suddenly have to worry about things like data privacy.” Rapid changes are testing the law. Mergers become a lot more complex when you buy online companies rather than bricks-and-mortar stores. New technologies like 3D printing threaten to up-end questions of intellectual property. All of which is underpinned by the seemingly unlimited piles of cash involved. ialci president Annabelle Gauberti is quoted several times in this gritty article published by Agence France Press - AFP - in Business Insider and other publications, on the development and ascent of fashion law as a driving force in both the legal and luxury industries.